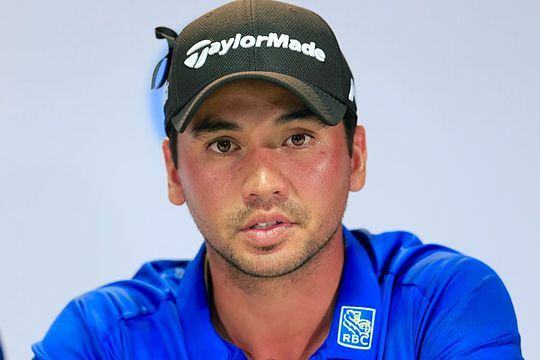 Ambitions have been put on the backburner for world No 3 Jason Day in recent weeks. And Australia’s former US PGA champion admits he’ll be content to take “baby steps” in his drive to get back into winning form after the drama that has engulfed the 29-year-old since his mother Dening was diagnosed with lung cancer. Day admits his focus has been on anything other than golf while his only remaining parent had surgery to remove a 3.5cm tumour from her left lung. He was back in action at the US Masters earlier this month although he admitted his game wasn’t quite “on song”. Nonetheless he fought on valiantly and a final-round 71 saw him finish two-over-par at Augusta National as Sergio Garcia secured his first major victory. Golf wasn’t his No 1 priority as he shared his mother’s battles, although he was buoyed by news that week that his mother wouldn’t require chemotherapy. “You can’t control distractions like with my mum; we tried to handle that the best we could,” said Day. Day’s next scheduled event is the Zurich Classic of New Orleans in the last weekend of April where he is expected to partner his good mate Rickie Fowler in the two-man team event. Until then he will spend time with his mother at his home in Columbus, Ohio as she recovers from her major operation. “I talked to her last night and she’s in great spirits, which is fantastic,” he said. It will take some great golf for Day to usurp American Dustin Johnson at the top of the world rankings but the 2016 Players and WGC Matchplay champion said he was up for the challenge and the grind involved in getting back to No 1, where he reigned for 47 consecutive weeks before Johnson began his own phenomenal run.